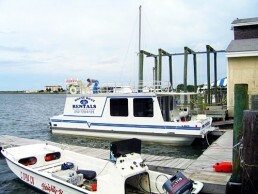 We are based in Historic Beaufort N.C. and would like to share our local knowledge and experiences of our unique Outer Banks area. 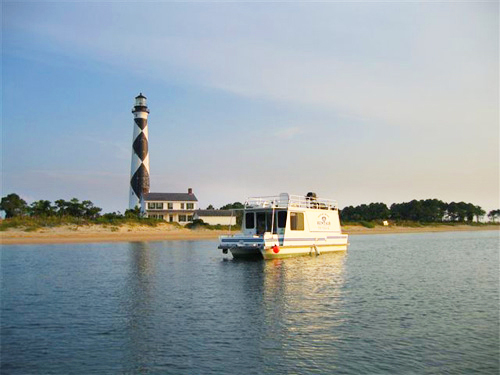 We have operated Outer Banks Ferry Service for over 20 years, providing the best of daytime beach adventures. 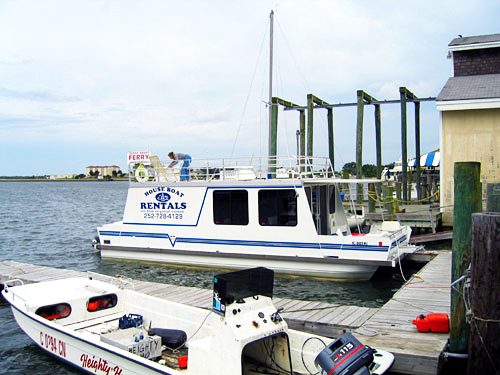 The houseboat rental will enable you to extend the day adventure into the night. We have the local knowledge, expertise and location to offer you the best, most relaxing vacation available in our area. We provide a professional captain to drive you to your destination. The captain will anchor the boat and set it up for you at the best location. This will take all of the hard work out of your experience. The captain will check with you daily to see if you need anything or would like to try a new location. 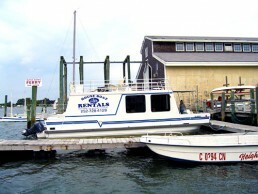 Each houseboat comes with a 21′ or 21′ Carolina Skiff to be used for your transportation. Each boat comes filled with gas and oil, you pay for what you use. To help ensure you have a memorable vacation we have provided a list of the most common items we recommend you pack for your trip.